Oct. 26, 2017 9:19 p.m. 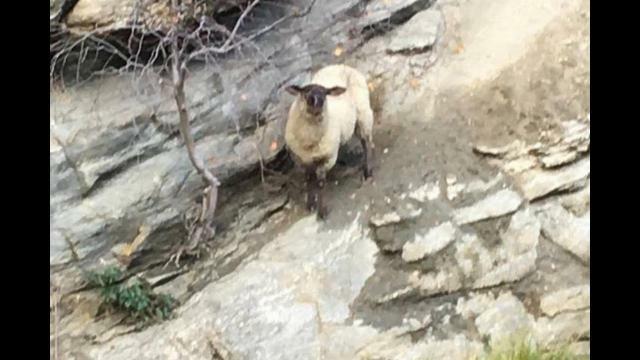 It wasn’t Little Bo Peep who lost her sheep — this time, it was a Penticton resident whose sheep were on the lam. They weren’t black sheep, but it was pretty baaaah-d when three sheep escaped from a barn on their owner’s neighbour’s property about a week ago. “Two came back by their own accord after six days, and all three are recovered now, basically,” owner Jeff Martin said. While two returned home on their own on Tuesday, one continued its trek, and was spotted in the Wiltse area, which Martin said would have meant crossing two streams. Martin had only bought the sheep two weeks ago, and had been holding them in his neighbour’s barn, which some horses broke into, letting the sheep escape. “I didn’t expect to recover them, actually, I thought coyotes would have cleaned them up in a matter of days,” Martin said. Impressive survival skills for some herd animals — you might call them Lambo. The farm animals must be feeling anything but sheepish about that adventure.